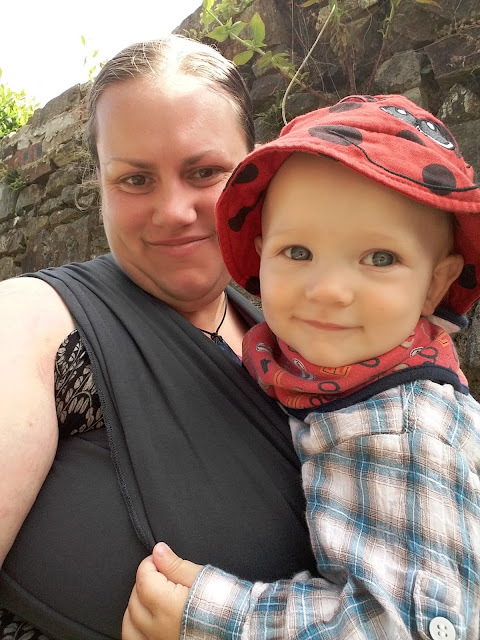 Where Roots And Wings Entwine: Kangaroo Care with KangaWrap - babywearing review. 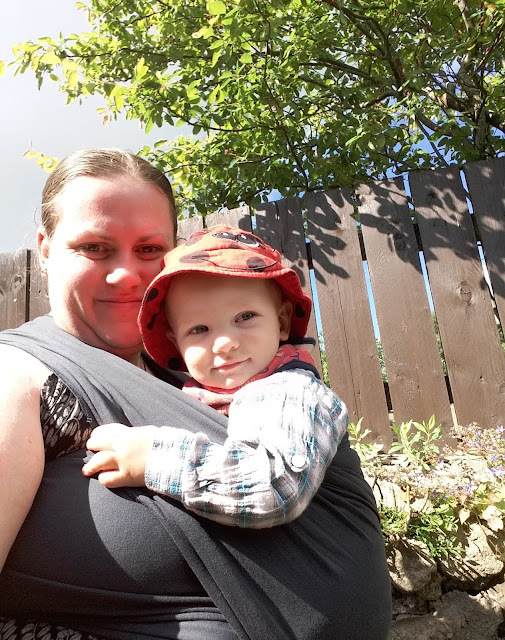 Kangaroo Care with KangaWrap - babywearing review. My love affair with babywearing started a little over 5 years ago when Bug was born. My mum had kindly bought me a stretchy wrap (which we sadly lost in a house fire) and from that first carry I was hooked. I carried Bug till he was around 4 years of ago in various carriers and was upset when our babywearing days came to an end. When I found out I was expecting Jelly Bean one of my first thoughts was that I would have a little baby to babywear with once again. 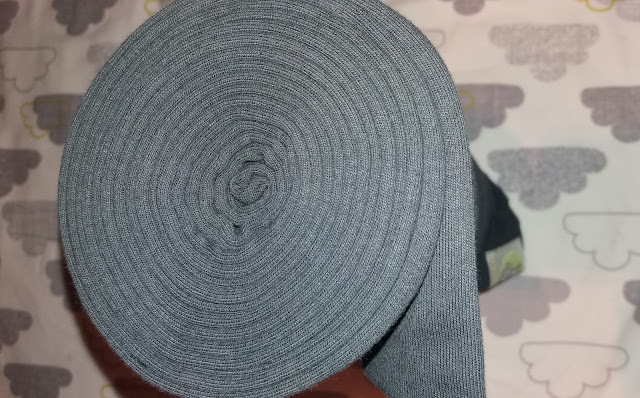 Starting from scratch again for babywearing wraps and carriers (thanks to the house fire) having loved the stretchy wrap so much with Bug I made sure to get a new stretchy wrap ready for our second born. From the first day that we welcomed Jelly Bean into the world I have carried him on a daily basis and he loves to be carried. 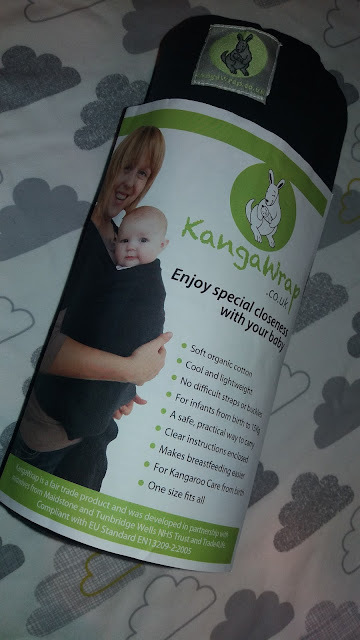 As I love babywearing and love to try new wraps and carriers I was delighted when KangaWrap kindly sent us one of their wraps to try. The KangaWrap arrived rolled up like a plush cylinder, packaged beautifully in a soft black material bag. The bag is very useful for storing the wrap when not in use, with the wrap being easy to fold/roll down to fit in the bag once again. Once in the bag the wrap is surprisingly small, compact and lightweight, and does not take up too much room in the changing bag so I have it ready to hand when out and about for when the need to carry Jelly Bean arises – however this is not often as we are usually already using it as we love it so much! 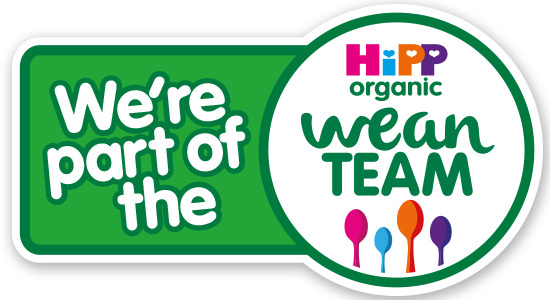 To help users carry their little ones safely and use the wrap correctly the wrap came with a useful and easy to understand information and instructions leaflet. Inside of the leaflet are excellent step-by-step instructions on how to use the wrap, with both pictures and text informing users how to safely carry their little ones. To further help KangaWrap users use the wrap safely and easily KangaWrap have also made a handy video tutorial showing how to use the KangaWrap. Designed to hold babies straight from birth to 15kg, the KangaWrap was developed with kangaroo care and skin-to-skin contact in mind. Thanks to award-winning research carried out by midwives alongside Trade4Life the wrap was designed so that it meets Kangaroo Care criteria. Realising the importance of safety the wrap also meets Soft Carriers Safety Requirements and Test Methods, and complies with British Standard BS EN 13209 – 2 – 2005. What instantly struck me about the cool and lightweight (0.5kg) wrap was how super soft the organic cotton is. It is luxuriously soft and perfect for carrying baby in, feeling like a loving hug as it embraces baby so he is carried close to me. Being a fluffy mama I love that the wrap is one size fits all with the wrap being a lovely long size. 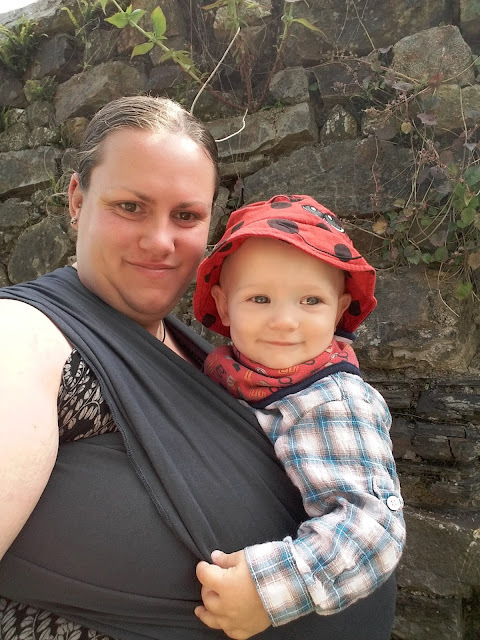 The wrap is very easy to use and is a perfect for safe, practical babywearing. The soft cotton wrap has a lovely stretch to it but holds strong and secure when used and tightened correctly. 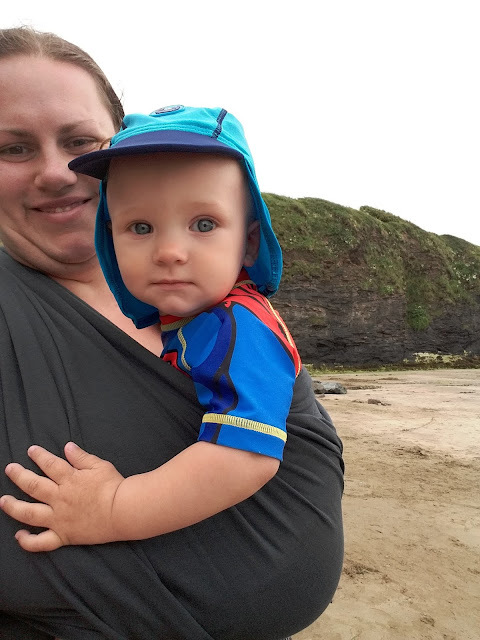 As Jelly Bean is older and heavier than a newborn but still within the weight range I personally prefer to carry him using a forward front cross carry rather than a pre-tied front pocket carry as I feel I can get a tighter and more secure wrap. Even though Jelly Bean is over 9kg now (at last weighing) and getting bigger by the day when carrying him in the KangaWrap he is very secure and comfortable. I was pleasantly surprised to find that the stretchy wrap carried him so well in-spite of his weight and size, with him feeling weightless and even when carried for long period of time very comfortable to carry. The only thing I would say is that if you are carrying an older, heavier baby or toddler to make sure that you get a good seat when creating the carry, tighten the rails very well, and ensure the wrap is secure otherwise the wrap won't be as safe and secure to carry the heavier weight. On the rare hot days we have had I have found the wrap to be cool and comfortable to wear and thankfully not heavy or hot. 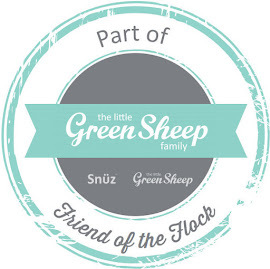 With kids who tend to attract mess and muck, and our love of having babywearing adventures in the great outdoors, ability to clean wraps/kids clothes without too much hassle is a must! Thankfully a bonus of the wrap is that it is machine washable at 30 degrees and can be tumble dried on a low setting. 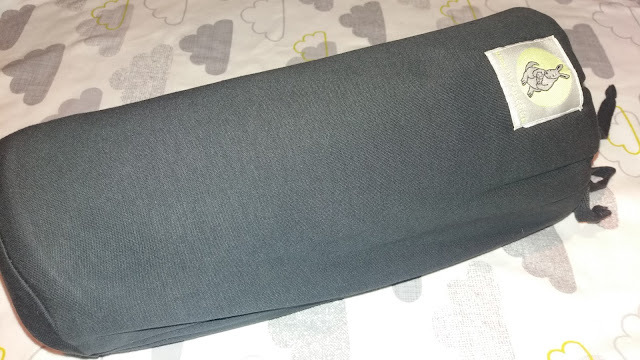 As the wrap is so super soft and lightweight I can imagine it is a dream for using with newborn babies, being gentle and comfortable for them. All I need now is another baby to experience the joy of carrying a tiny little baby using the KangaWrap. We have used the KangaWrap lots and lots since it entered our life, using it on a daily basis for lots of babywearing needs. Thanks to carrying Jelly Bean in the wrap he is content and close to me and I have my hands free for other tasks. It has been loved for activities such as shopping, adventures in the woods, walks on the coastal paths, trips to the park, snuggling a tired baby after fun playing at the beach, and the school run. 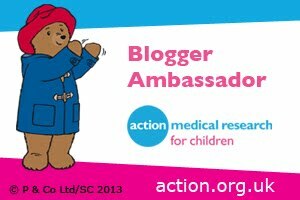 It has also been valuable for settling Jelly Bean when he has been poorly and a lifesaver for allowing us to breastfeed on the go. Another bonus is that when Jelly Bean is not content with playing or having a nap in his cot it has allowed me to get on with the housework as he sleeps on or snuggles into me. An amazing point about KangaWrap that I love is that they are a Fair Trade and not for profit product where all profits fund maternity care in Delhi slums. Trade4Life who developed and sell the wrap not only help maternity care in impoverished areas but also strive to improve the lives of disadvantage people in developing communities by creating ethical work opportunities. We love the KangaWrap and can't recommend it highly enough, I only wish I had tried one before now! 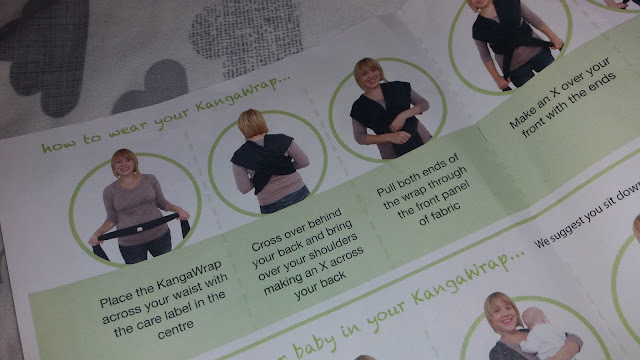 The KangaWrap can be bought on the website for £44.99 which I think is amazing value for money for such a lovely and super soft wrap that is of superb quality for comfortable, close and content babywearing. Plus remember thanks to KangaWrap's amazing charity initiative by buying the wrap you are helping support ethical work opportunities for disadvantaged people and helping other babies and parents who will benefit from the improved maternity care KangaWrap support. I'm in the throws of researching new wraps and carriers. Never heard of this brand before and you may have just sold me. 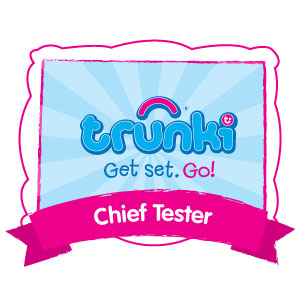 Gonna pop over the website now and have a proper goo. 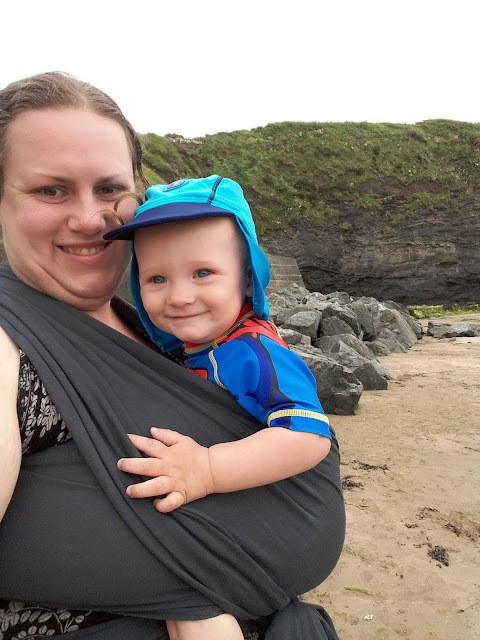 I love babywearing too, especially using the cloth baby carriers like this one. They make baby so close and comfy, love it! Looks very convenient! I had a baby carrier when little man was a baby, but didn't get much use out of it.